Thomas Michael (Mike) Fahey, 81, passed away on Tuesday, October 16, 2018. Beloved husband of Jane N. Fahey (née Neitzey), devoted father of Matthew Joseph (Claudia), Patricia Ann Blum (Gregory), Michael James, Meghan Ellen Hardy (Mark), and Christopher John. A daughter, Maura Elizabeth, preceded him in death. He is survived by loving granddaughters—Christine, Emily, Alyssa, and Ava, as well as loving grandsons—Adam, David, Jordan, Tyler, and Nicholas. A dear sister, Ellen Fahey Kubisiak, survives him along with more than a score of devoted nieces and nephews. His loving sister and brother, Patricia Fahey Lutian and James Daniel Fahey, preceded him in death. Mike was born on November 4, 1936 in Washington, DC where he was raised by his parents Joseph J. and Gertrude Lucas Fahey. He attended grade school at St. Aloysius before going on to graduate from Gonzaga College High School with the class of 1954. He earned a Bachelor of Science degree in Engineering from The Catholic University of America in 1961 after completing 2 years of service in the United States Marine Corps. Following a brief period of work for a small Engineering firm in Northern Virginia he joined the Westinghouse Corporation in September 1962. In a career that spanned almost three and a half decades, one that began in the Aerospace Division handling high vacuum-cryogen space chambers in partnership with the Applied Physics Laboratory of Johns Hopkins University, to the eventual leadership position of Senior Manager within the Mechanical Design and Development Engineering team, his successes were many. It was a career dedicated to the design and production of defense related systems in many diverse and emerging areas—involving sonar, radar, and robotics. 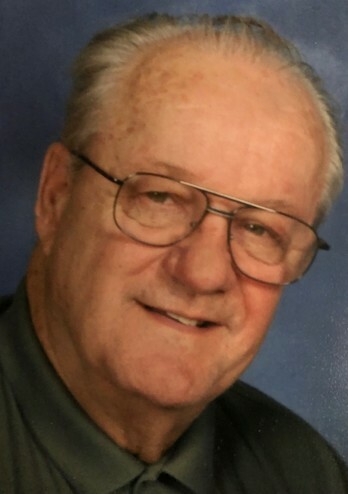 In his free time Mike enjoyed a variety of hobbies: entertaining family and friends at his home, sports of all kinds (especially the Washington Redskins and Nationals), woodworking and handmaking furniture, and a good game with his Chess Club friends. He was very devoted to charity work and recently wrote numerous grant applications on behalf of the Lake Forest Church Association Food Bank that resulted in thousands of dollars of grant money for the organization. From his professional accomplishments to his personal relationships, his charity work, and his lasting connection to his Gonzaga community, Mike touched the lives of more people than just his family. His legacy as a hardworking, fun-loving, community oriented, family man has left a lasting impression on all who knew him. He will be dearly missed. In lieu of flowers, please make a charitable donation in memory of Maura E. Fahey to the Childrens National Medical Center, 111 Michigan Ave. N.W., Washington, D.C. 20010. Or, a donation in the name of T. Michael Fahey to the Lake Forest Church Association Food Bank, 102 Dorman Street, Harrington, Delaware 19952. Visitation will be on Thursday October 25 from 2-4 and 6-8PM at the Donaldson Funeral Home, 313 Talbott Ave, Laurel, MD 20707. A funeral mass will be celebrated on Friday October 26 at 10:30 AM at St. Mary of the Mills Catholic Church, 106 St. Mary’s Place, Laurel, MD 20707. Burial will follow at Resurrection Cemetery, Clinton, MD.